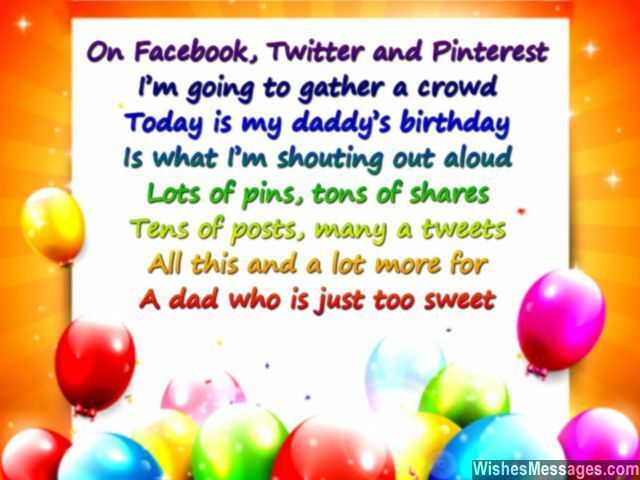 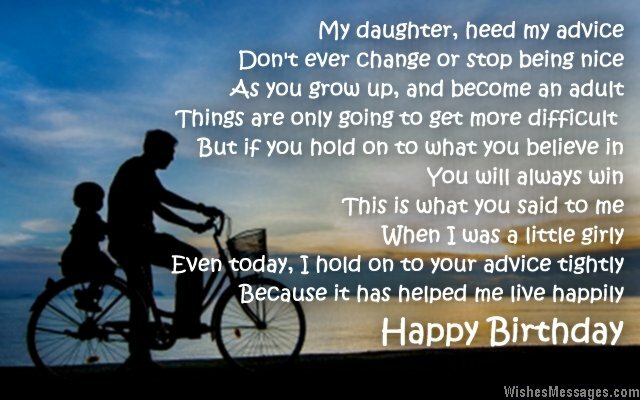 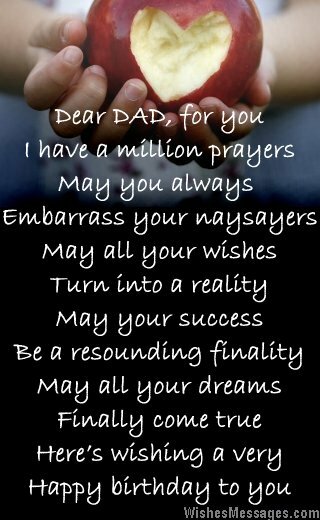 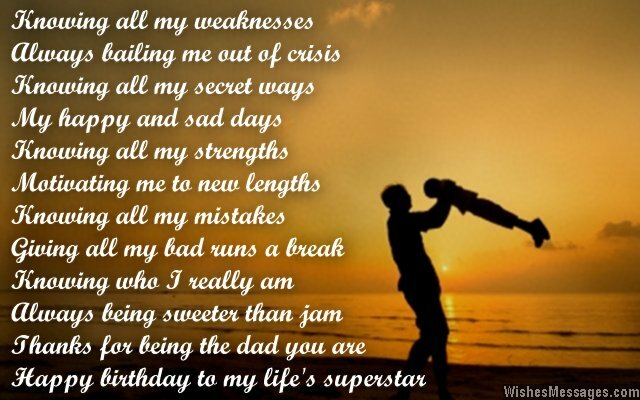 Birthday Poems for Dad: Wish your father a Happy Birthday with a sweet rhyme that reminds him of all the cute memories and funny moments he has shared with his children. 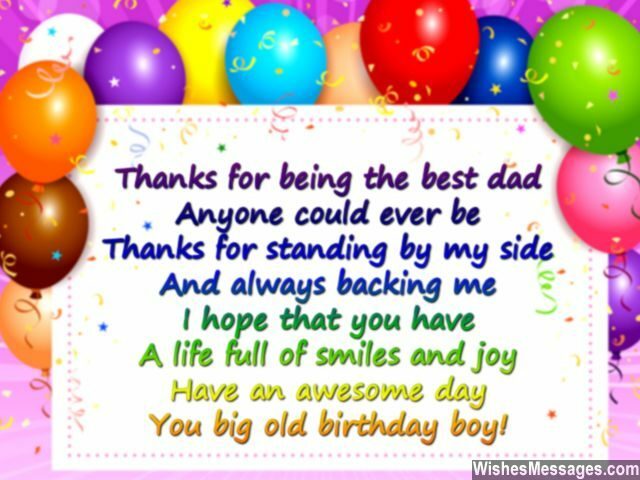 You don’t get a chance to express your feelings every day but his birthday is when you can really make him feel nice. 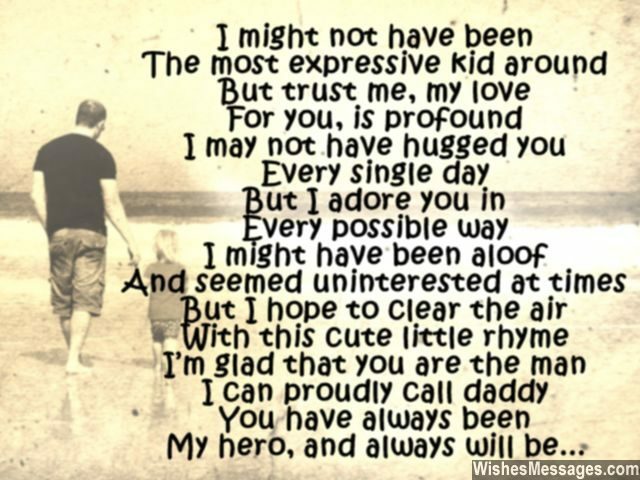 It will bring tears to a dad’s eyes when he reads a beautiful quote written by his own daughter or son. 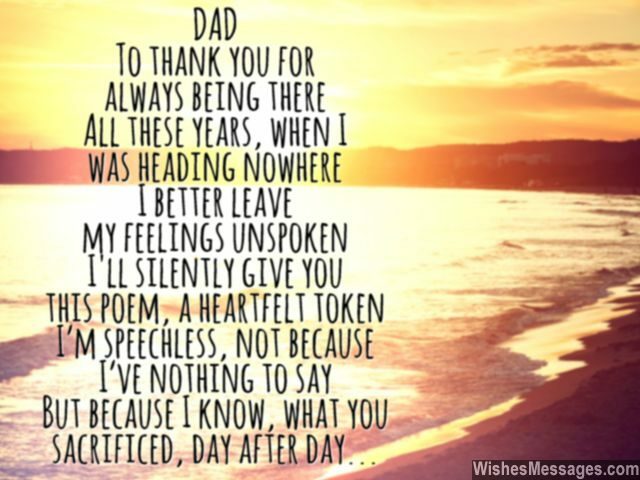 Post it on Facebook, send it by email, write it on a greeting card, send it as a text – do whatever it takes to make the man who gave you the childhood you deserved, feel the love that he deserves. 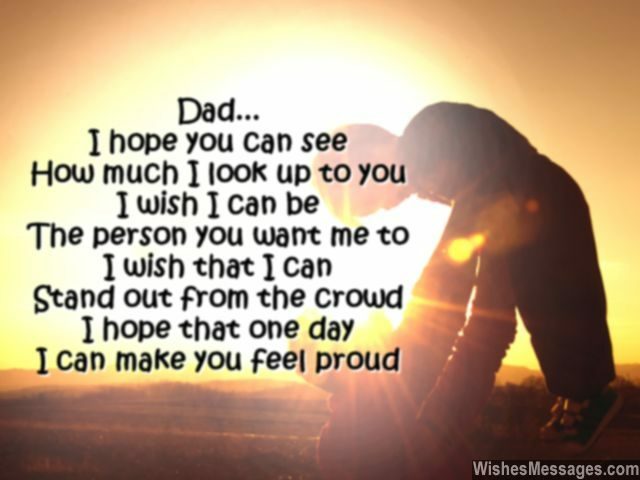 He held you in his arms and carried you on his shoulders… giving him something to smile about, is the least you can do.